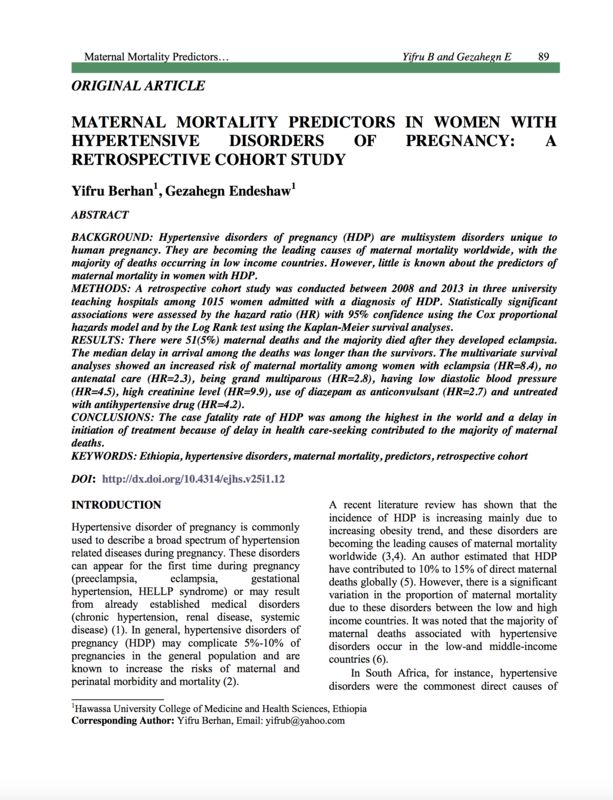 A retrospective cohort study was conducted between 2008 and 2013 in three university teaching hospitals among 1015 women admitted with a diagnosis of hypertensive disorders of pregnancy. There were 51 (5%) maternal deaths and the majority died after developing eclampsia. The median delay in arrival among the deaths was longer than the survivors’ delay in arrival.